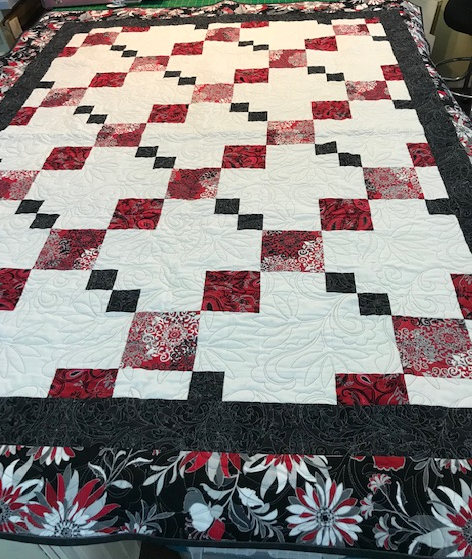 Machine pieced by Kathi Martin and machine quilted by Sandy Rauperstrauch in a floral motif. Backing is a vine fabric in red. Black binding. Perfect lap or snuggle quilt.